American literature was booming after the Great War. Hemingway, Fitzgerald, and Faulkner flourished in the interwar years. American was becoming an advanced nation. Education was rising and mass marketed paperback books made reading cheap. It’s pretty easy to identify interwar authors in America and well as the Beat authors that rose in the 1950s. What happened in the 1940s is a blank to many. Certainly, World War II changed many things. WWI brought out poets in England. Americans went to the Left Bank and to England to write. There was a pride in American literature and America’s rising on the world stage in power, industry, and literature. America faced large changes in the 1940s. Warren French would write that the 1940s were “one of the longest, unloveliest, and most ominously significant decades in human history.” It was sandwiched between Hitler’s invasion of Poland and North Korea’s invasion of South Korea and punctuated with the atomic bomb. In that same period Arthur Miller, Truman Capote, Richard Wright, and Gwendolyn Brooks all produced major works. Three Americans won the Nobel prize for literature in the 1930s. War would interrupt the 1940s but still Faulkner an Eliot would win Nobels. The 1940s were also the golden age of American libraries. They offered free shelter, entertainment, and education to all. The army spread books among the ranks. There wasn’t an area of combat where soldiers were not reading. Not all authors were read. Richard Wright was not included and other African American writers were left out as well as those writers whose works were considered insulting to racial, ethnic, or religious groups. Zane Grey’s Riders of the Purple Sage was excluded because of its negative portrayal of Mormons. Reading was a necessary escape for those in combat. Many read their first books straight through while serving. This sudden interest in reading also lead to an interest in writing. The G.I. Bill allowed many to attend college and many took to writing and instead of writing to change the world the new authors thought to write about the attempting to make sense of the incomprehensible. The rise of cheap paperbacks also brought along another form of media. The comic book entered its golden age. Superman and Batman became heroes fighting the bad guys. The bad guys in Batman were complex — Once innocent people transformed into supersociopaths through childhood trauma or social inequity. Even Two-Face was based on a Poe short story. The 1940s was influenced by many factors outside of the war. Racial issues especially African American and Jewish were on the rise. The mass migration of African Americans to northern industrial centers was perhaps the largest migration of people over the shortest period of time in American history. Jazz changed music. Communism rose and fell; its peak membership in the US was in 1942. The world was changing and the United States found itself as the leading country, politically, economically, and militarily. It had its own internal problems and its growing pains. This can be seen in the literature of the period. 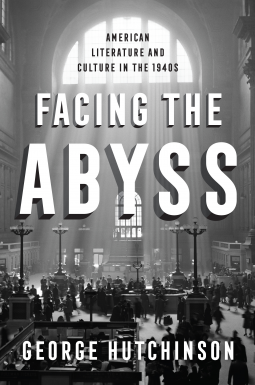 Hutchinson writes an interesting cultural and literary history of one of the most important decades in American history. 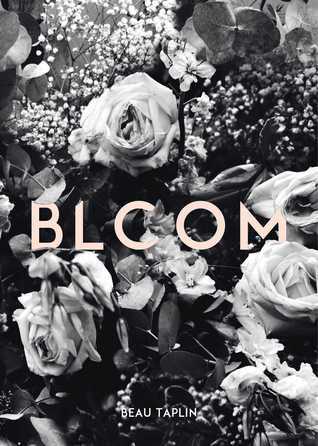 Bloom by Beau Taplin is advertised as a collection of one hundred and forty poems. Taplin is an internationally recognized author and social media sensation. Following a formative education at Melbourne Rudolf Steiner, Beau found some success as a songwriter before turning his passions to poetry and prose. I see advice column writing with stylized line length. I do not see poetry. I see truisms, memes, and Ann Landers. I think it’s great that more young people are reading in the age of Netflix and PlayStation. Nice advice for young readers but not poetry. I am not one for current or pop fiction as most of my reviews clearly show a leaning to nonfiction and poetry. If I do pick up pop fiction, it’s for killing time rather than writing a review. I decided to pick this book by chance as something to read over the hecticness of the holidays. This book turned out to be a real surprise. The story is told in the first person by Eddie (now Ed). He alternates between 1986 when he and his friends were twelve and 2016. His friends Fat Gav (Gavin), Metal Mickey (braces), Hoppo (David Hopkins), and Nicky. Nicky is the one female character in the group and the only one without a nickname. Her father is the local vicar which creates friction with Eddie’s parents back in 1986. Eddie’s dad does freelance and dresses in shorts and “ancient” rock band shirts like The Who and Led Zeppelin. Ed’s mother was a doctor who helped “women in trouble.” It doesn’t take much imagination to figure out how friction develops between the vicar and Ed’s mother and father. Mr. Halloway, an albino, is the outside character who is new to town. He is an English teacher who paints as a hobby. At the start of the novel, it is he and Ed who save the life of a girl Ed simply calls the Waltzer Girl. She was severely injured when a Waltzer ride fails; her leg is almost torn off and her face is destroyed. Ed and Mr. Holloway become local heroes. Things, then, jump the Fat Gav’s birthday party where a gift, presumably from Mr. Halloway, becomes key to the story. The gift is colored chalk. The colored chalk is used by Ed and his friends to leave notes at each other’s houses on the sidewalk. They use symbols to represent different meeting places. Each kid has their own color so the writer can be identified. One mysterious set of chalk men lead the boys to the dismembered body of a girl. In the present, Ed rents a room to Chloe, a young goth girl, who he has a bit of a crush on despite the age difference. The childhood gang has since broken up. Fat Gav now runs the family bar. Mickey is an ad executive who is not really welcomed back, especially by Fat Gav. Mickey does, however, claim he knows who killed the Waltzer Girl but doesn’t have a chance to tell the news because he drowns shortly after meeting with Ed. The story becomes entangled into suspicions and connections that take the reader on quite a ride. As much of a thriller as a mystery, each new piece of information seems to take the reader farther from resolution instead of closer. Characters big and small all have secrets that are revealed as the plot expands. History is challenged as well as character intentions. The interconnectedness of the characters and the plot is remarkable. 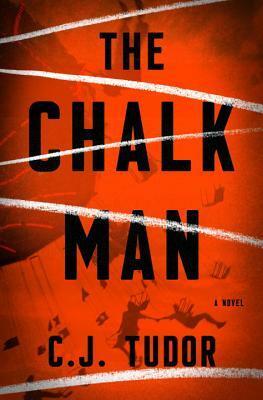 Chalk Man is, and the boys would say, an ace of a book and a well written and imagined story. The ten parables used in the text are simple stories with a strong moral that is gently applied. Compassion for all living things is a central point as well as looking inward for answers. It is not really difficult, when reading the teachings of Lama Patrul Rinpoche, to see the universality of the message. 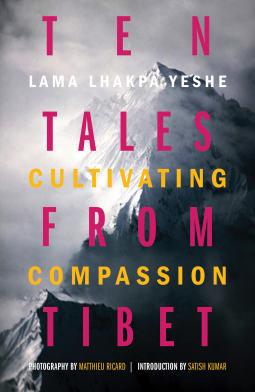 Lama Patrul Rinpoche is the actual teller of the stories. He is one of Tibetan Buddhism’s most revered teachers of the Dharma. Polluting oceans with plastics, cutting down rainforests and depriving the indigenous people of their livelihood, poisoning the soil with chemicals and pesticides, and emitting greenhouse gases that cause climate change are all acts of violence. So making oneself available to others at a time of need is the most altruistic and selfless act one can perform. If that act is performed merely out of duty, or because it is a profession, then it is only a job. 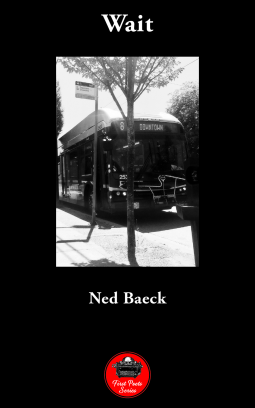 Wait by Ned Baeck is the poet’s first collection of poetry. Baeck lives in Vancouver. His poems have recently appeared in untethered, The Continuist and Sewer Lid. This volume will be available on March 1, 2018. Here is the mix of the ordinary and the holy taken from the poets near homeless wanderings across Canada. Near homeless because the poet took up the life of a what would be called a hobo, traveling across western Canada.His life does change as well as his view of the world. The imagery in “Turnstile”, at times, dark city life reminds me of a bit of a retelling of The Doors “L.A. Woman” in concept and a combing of “Touch Me.” Although many may scoff at the poetry of Morrison, Baeck captures the experience in words alone without the help of music. Wait is a surprisingly mature collection of poems for an initial offering. Baeck captures honesty and true sight in a world of deceit and hype. A great collection or easy to read and comprehend poetry that can be enjoyed many times over. Rust by Jean-Michel Rabaté is another addition to the growing Object Lesson series from Bloomsbury Academic. Rabaté is one of the world’s foremost literary theorists. He is Professor of English and Comparative Literature and the Vartan Gregorian Professor in the Humanities at the University of Pennsylvania. Rabaté has authored or edited more than thirty books on modernism, psychoanalysis, contemporary art, philosophy, and writers like Beckett, Pound, and Joyce. 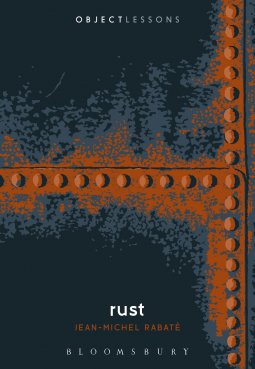 For anyone that lives in the former industrial north, rust is simply a fact of life. Car bodies rust through with the help of winter salting. Rust stains concrete and leaves it mark on steel structures. Rust is the oxidation of iron in specific but Rabaté takes it to a deeper level. The Eiffel Tower gets painted regularly to prevent rust. Rabaté sees more rust in America than in Europe and Japan, equally industrialized areas. Others go through the trouble to hide rust that Americans do not. Rust even caused the collapse of Mianus River Bridge in Connecticut in 1983. Rust takes on other manifestations. It is a plant disease. Ceylon, now Sri Lanka, was once a coffee producing region until a rust killed off all the coffee trees. That change Ceylon from a coffee producing nation to a tea growing nation. I benefit I personally enjoy. Being a primarily a literature professor, and a professor of modernist literature he includes a book by J.M. Coetzee the Life and Times of Michael K. Here is where modernism describes rust and rustication. A very interesting and appreciated twist. He even includes a review of a Japanese Movie entitled Rust. Hegel and Kafka are even brought into the lesson. This is perhaps the most free-ranging lesson in the series. It takes a bit of modernism and stream of consciousness to give the broad range explanation of the subject. It is not a straightforward chemical process but covers how deeply the word has entered of vocabulary and mindset. Rust is a disease. It is a color. Its color describes other objects. It is in the Bible and the Koran. Rabaté gives a comprehensive and cultural look at the idea of rust more than the chemical reactions. Hellraiser: The Toll by Mark Alan Miller based on Clive Barker’s work is a continuation of the Hellraiser collection. Miller is the Vice President of Seraphim, Inc., Clive Barker’s production company. Miller is also a comic book writer, having written for Boom! Studios and Dark Horse. By far the best horror series I have seen is Hellraiser. The characters and the storyline were much better than the slasher movies that preceded it. Nine movie releases, although a few went straight to video has kept Pinhead alive in many people’s minds. This novella falls between two other Hellraiser stories, that I have not read, but Kristy and Pinhead both play a part in the story. This novella starts with the story of a French toy maker Philip Lemarchand who was famous in the 18th century for his singing birds and puzzle boxes. Much like others when they became too good at something, he was accused of conspiring with the devil and sentenced to Devil’s Island. 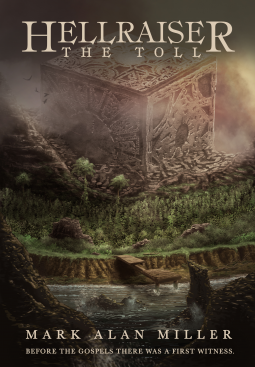 He, too, of course, was the creator of the Lemarchand puzzle box. Modern times bring in Kristy who is in hiding and a mysterious message from an outside source. The story begins here with a tie-in to both Kristy and Devil’s Island. This episode reads much like a graphic novel, which should be no surprise considering the author’s other writing. The book reads quickly and is enjoyable to those who enjoy horror. The Toll provides a short but well-written return to the land of the Cenobites and pain. Although I usually don’t read horror novels, I couldn’t resist picking up a Hellraiser novella.